Laura E. Winslow married Abel Howard Houghton, son of Levi Howard Houghton and Elizabeth T. Robbins, in circa 1883 age 24 and 19; mar 17 years in 1900 census. Burr Gilbert married Emma Johnson. Emma Johnson married Burr Gilbert, son of DeWitt Gilbert and Eleanor Houghton. Gertrude Houghton married Charles Dooley. Charles Dooley married Gertrude Houghton, daughter of William F. Laselle Houghton and Lydia Ladiew. Richard Leroy Houghton married Lillian Sweet. Richard Leroy Houghton married Alice M. Kilbourne in circa 1905 age 23 and 34; his 2nd marriage; mar 5 y in 1910 census. William Henry Houghton married Harriet Victoria in circa 1893 mar 7 years in 1900 census. Loretta Rebecca Houghton married Fredrick Austerman. Winifred Manoah Houghton married (?) Cobs. Lillian Sweet married Richard Leroy Houghton, son of Dr. Alanson Cyrenes Houghton and Roxy E. Eddy. Lillian Sweet married Henry Rimer in circa 1900 mar 10 y in 1910 census. Harriet Victoria married William Henry Houghton, son of Dr. Alanson Cyrenes Houghton and Roxy E. Eddy, in circa 1893 mar 7 years in 1900 census. 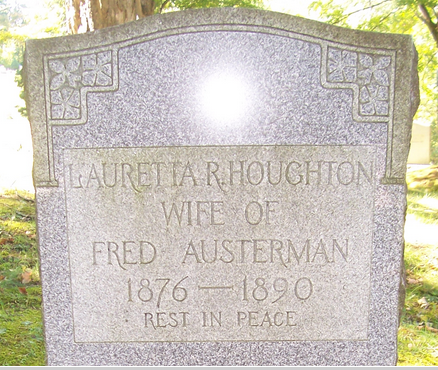 Fredrick Austerman married Loretta Rebecca Houghton, daughter of Dr. Alanson Cyrenes Houghton and Roxy E. Eddy. 1870 Census 1870 New Orleans, Orleans Parish, LA, USA, age 45, MA, Recorder? 1st Dist. Gardner Pollard Houghton married Sarah Ann Gill in Nov 6, 1850 at Trinity Church, New Haven, CT, USA, by Harry Croswell Rector of Trinity Church. Andrew Rufus Houghton and Amanda M. Warren declared their intentions of marriage on May 18, 1847 Charlestown, Suffolk Co., MA, USA. Andrew Rufus Houghton and Amanda M. Warren declared their intentions of marriage on May 20, 1847 Lancaster, Worcester Co., MA, USA. Lucy Heywood Houghton married Lawson Valentine. 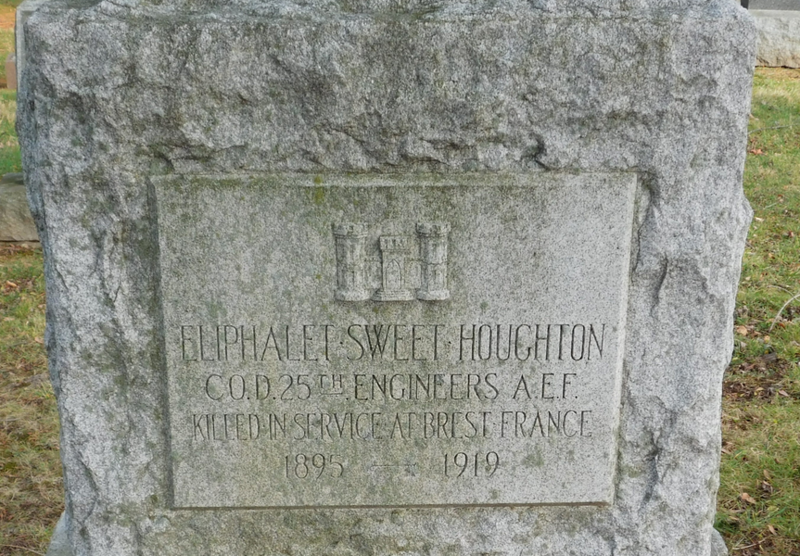 Lawson Valentine married Lucy Heywood Houghton, daughter of Rufus Houghton and Martha Pollard. 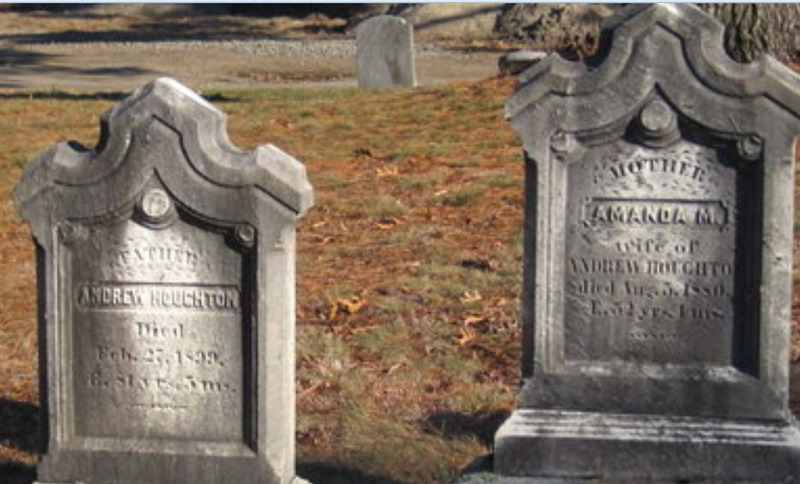 Joanna Chaplin Houghton married Alfred Pickering Clark in Jun 2, 1853 at Cambridge, Middlesex Co., MA, USA. Notable was one of the incorporators of the society of Sons of the Revolution, and was its second secretary. George Washington Wright Houghton married Ellen Cabot Jackson Russell in Feb 13, 1887 age 20.